White balance is used to adjust colors to match the color of the light source so that white objects appear white. Subjects may be lit by a number of different light sources, including sunlight, incandescent bulbs, and fluorescent lighting. Although to the naked eye all these different light sources may appear colorless, in fact they emit light of different colors. The image sensor in a digital camera will reproduce these color differences just as they are, with the result that without additional processing the color of the photograph would appear to change according to the light source. 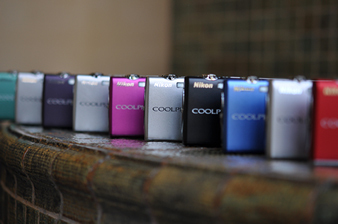 Auto white balance automatically processes the image to remove unwanted color casts by, for example, making photographs taken under incandescent bulbs more blue to correct the reddish cast of this type of lighting. Normally, auto white balance will produce the desired results without the photographer having to worry about the type of lighting. If auto white balance does not produce the desired results, the photographer can choose from a number of fixed white balance options according to the weather or the light source. The photographer can also choose a setting for direct sunlight or incandescent lighting to introduce a deliberate red or blue cast according to their creative intent. White balance is displayed as shown below. Aperture controls the brightness of the image that passes through the lens and falls on the image sensor. It is expressed as an f-number (written as “f/” followed by a number), such as f/1.4, f/2, f/2.8, /f4, f/5.6, f/8, f/11, f/16, f/22, or f/32. Changing the f-number changes the size of the aperture, changing the amount of light that passes through the lens. The higher the f-number, the smaller the aperture and the less light that passes through the lens; the lower the f-number, the larger the aperture and the more light that passes through the lens. For example, changing the aperture from f/4 to f/5.6 halves the amount of light passing through the lens and halves the brightness of the image that falls on the image sensor. Changing the aperture changes depth of field. ※The illustration is an artist's conception. f-numbers change as shown below. Raising the f-number one step is referred to as “stopping aperture down a step ” or “stepping aperture down an f-stop.” This halves the area of the aperture (or opening), halving the brightness of the image that falls on the image sensor. 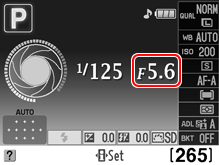 Lowering the f-number by one step is referring to as “stopping aperture up a step ” or “stepping aperture up an f-stop.” This doubles the area of the aperture (or opening), doubling the brightness of the image that falls on the image sensor. 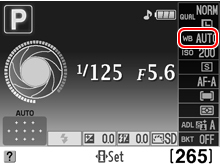 If you are using a Nikon DSLR Camera, f-number changes in 1/3 steps; some models also support increments of 1 step and 1/2 step. Shown as f/4, f/4.5, f/5, f/5.6, etc.